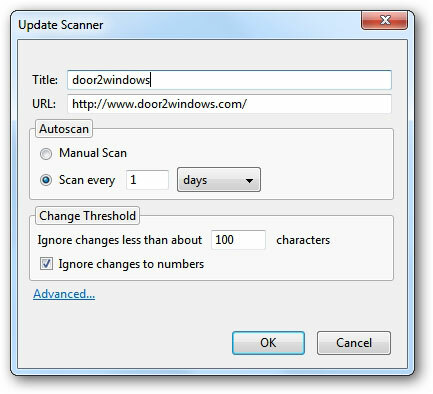 Update Scanner is an add-on for Firefox that automatically check for web page updates. It is useful for staying up to date with websites that do not provide any RSS or Atom feeds. Set the settings according to your wish.